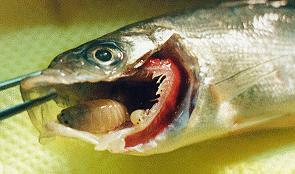 Ceratothoa oestroides pair of adults in the buccal cavity of sea bass. The operculum has been removed for better observation. Ceratothoa oestroides young pair of adults from the buccal cavity of a moribund sea bass. Ventral view of Ceratothoa oestroides mature adult females. 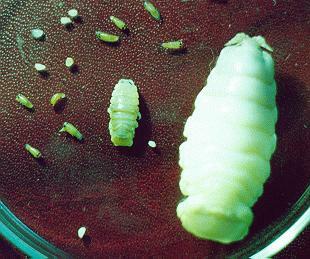 Three ovigerous females next to one ready to release the pulli II larvae from its marsupium. 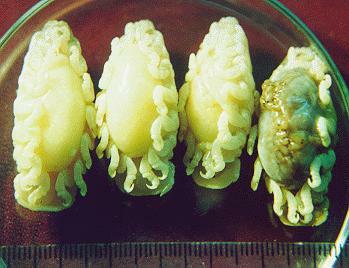 Eggs, pulli II larvae and dorsal view of an adult male (small) and an adult female Ceratothoa oestroides.